Will the Panic! At The Disco frontman's recent house drama reset the rules of what is acceptable in the fandom? 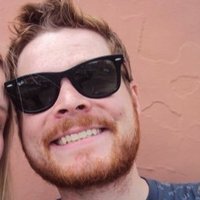 Sad news for Panic! At The Disco fans emerged this weekend (February 25th) as frontman Brendon Urie has been forced to move out of his "dream house" after receiving constant harassment from fans that left him feeling unsafe. Brendon released a statement on Twitter explaining the decision and leaving an open address to be checked sporadically for letters and gifts. The move follows a dramatic few weeks for Brendon after he suffered an anxiety attack after being mobbed by people at Sydney airport and a young fan was caught following and taking photos of him and his wife Sarah around town and near their house. 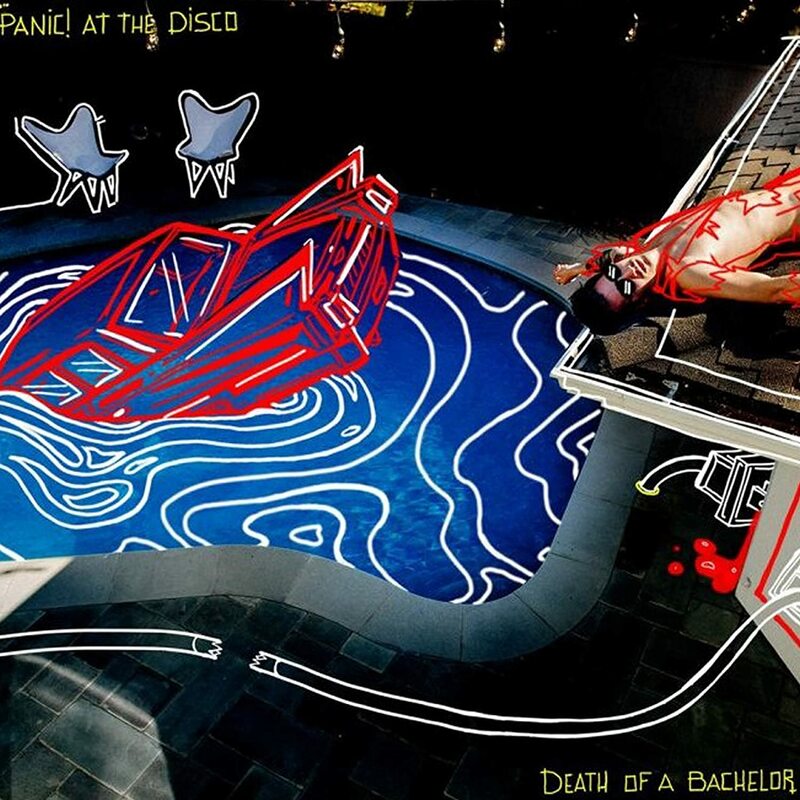 The news is made all the more poignant as the house not only served as Brendon's home and studio space but was also immortalised on the cover of his most recent and hugely successful album Death Of A Bachelor. The majority of fans have, of course, offered their support on social media, condemning those who got too close to their hero and wishing Brendon and his family well as they move on to their new home. But it's important that we and try and analyse how we got here. Because, unfortunately, Brendon's story is not a unique one. YouTubers Zoella and Alfie Deyes were repeatedly forced to call out parents of fans as well as local touring companies for bringing kids to their street for a quick peek over the fence, hoping to catch their favourite vloggers eating breakfast. Matty Healy of The 1975 had fans attempt to break into his hotel room while on tour in South America last year. Ashton Irwin of 5SOS was even tailed and filmed at a local movie theater over the Christmas period while spending time off with his family. And yes, there have always been obsessive fans who will try and go the extra mile to meet their fave, but the fact is that the line of distinction between "performer" and "friend" has now become more blurred than ever before. "Meet and Greet" opportunities are available for the right price at every major tour from club to stadium level. YouTubers literally invite viewers into their bedroom every day. Actors document the minutiae of their existence in such detail that you may as well be sat next to them in the First Class Airport Lounge they film on their Snapchat, were it not for the fact that you can't afford it. Brendon himself has dabbled in Pericope Q&A sessions and Vine sketches filmed in his kitchen. These are often very entertaining and he, like all other celebs, should be able to communicate directly with their fans in this way if they so choose. But inviting followers into their day to day routines can have it's disadvantages and, now that the rich and famous have made themselves more accessible than ever before, aside from the occasional Beyoncé-like enigma, the halcyon days of unknowable, untouchable stars like the 1980s holy trilogy of Madonna, Prince and MJ are long gone. Then there's the fan accounts that will track every detail of a band's schedule, from the touring setlist down to their lunch order. Most of this is completely harmless but the battle for Twitter and Insta likes too often results in behaviour like that of Panic! fan 'daddybrendonurie', effectively tailing Brendon in her Mom's Uber for hours on end. The only way she knew his address in the first place was due to it being shared online so fans could send gifts and letters directly. But even in cases less extreme than this, a trend has emerged where fandom is becoming increasingly competitive; where if you don't know what supermarket your fave likes to get their fruit and veg from then you are just another "fake fan" that can be easily dismissed by the true believers. And ironically, while all this certainly makes the stars seem more relatable and appealing to their audience, it also creates a public version of their persona that simply doesn't exist; as much as we may think we have a picture of the "real" personalities of our idols, we of course will never know what they are like in private. Yet the illusion that we are regular guests in their home has, inevitably, further confused fans who in the past would have been equally obsessed but held at arm's length behind a security barrier. what Brendon Urie had to move out of his house because people weren't being respectful? I'M GOING TO FIGHT. Leave him and his family alone. @panicupdating @brendonurie I'm so sad that they have to move just because of those stalkers. They loved their house. One positive note that has come out of this experience has been seeing the Panic! 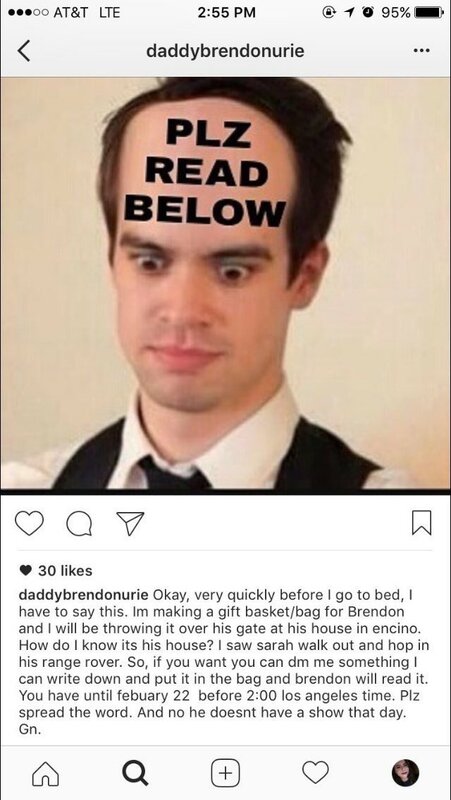 fandom use Brendon's statement as a moment of reflection. We can only hope that similarly large groups will follow suit and, in the future, we can be quicker to self-police and call out intrusive behaviour before it gets out of hand. Because while you may be able to get closer to your faves than ever before, that proximity is best left in the online world and out of their personal space.